There’s a dish like this in every culture: chicken curries, coq au vin, chicken paprikas, tagine chicken, red-braised chicken, chicken mole. The list is endless. You braise some chicken with tasty stuff. Scoop it ’til the last drop. Feel better. Sleep better. Be a better person. You know the deal. Now that it’s been chilly pretty consistently in New York City (which means, of course, no wildcard highs in the 70s for a couple weeks), it’s time to cozy up to slow-cooking routines. Stews, soups, and something-in-betweens are convenient weekend projects to feed you throughout the week. I was looking for something a little more exciting this time around, which could keep me entertained each time it would be reheated. It’d have to be less-familiar, and really flavorful. 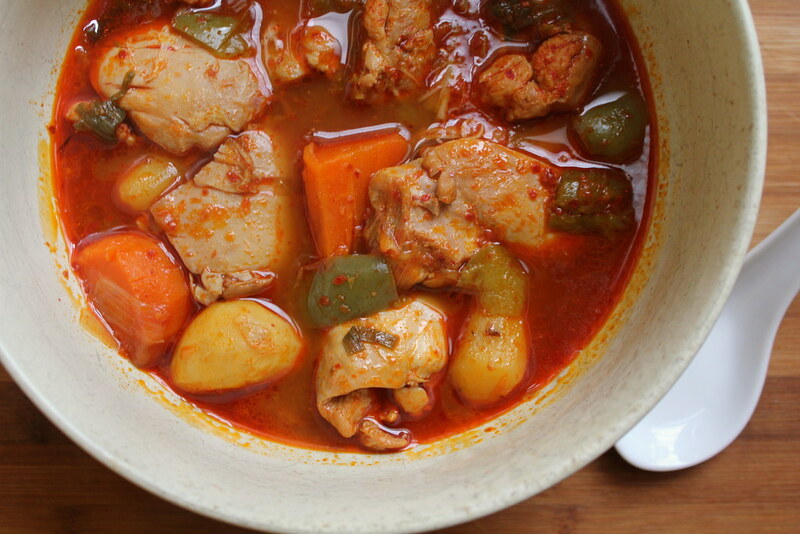 An intensely red, brothy Korean stew, or jigae, sounded right to me. But where were my Korean red chili flakes? Used up the last time I made kimchi. Rats. This is one ingredient that you don’t want to substitute liberally with. 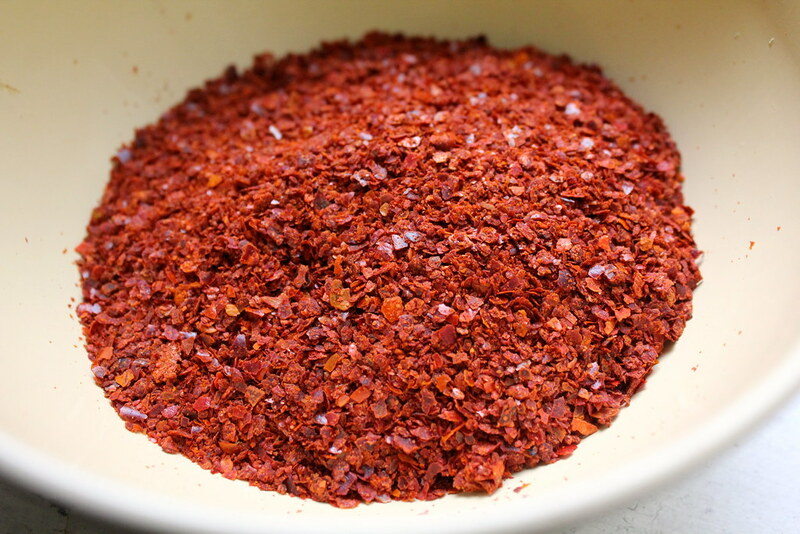 Korean chili powder, or gochugaru, is distinctive not so much for the type of pepper used, but because the flakes are roasted, developing a warm, smoky, roasty-toasty taste. It’s coarsely ground yet appears to nearly dissolve in liquid, so that when sprinkled liberally into a stew, it really alters its color to firetruck red. You gotta have ’em. I wasn’t in the mood for schlepping all the way to an Asian grocery, but fortunately in New York City, there’s a Korean-owned deli or produce market in just about every neighborhood, on every block. I went into mine with this hunch, but fell short of finding the chili powder on the shelves. So I asked the lady who owned the shop if they sold Korean chili powder. “Korean chili powder? How much do you need?” she responded without missing a beat. The store didn’t sell it, but she ended up giving me a knotted plastic bag of Korean chili powder from her own stash in the basement. Even refused to allow me to pay for it. I’m not saying everyone will have this kind of luck when hunting down ingredients, but one home cook to another is a pretty good way to go. As I was leaving, she asked me what I was making with the powder and I told her jigae. Tofu? she asked. Actually, not this time. Once you’ve secured both your Korean chili flakes and another essential ingredient, the gochujang chili paste (made with fermented bean paste and slightly sweet), it’s just chicken, and a few homely vegetables. I’ve added a small amount of chopped green pepper and scallion to this recipe, which almost melt into the dish once fully cooked. The chicken will reach that stage of falling off the bone with the slightest touch, so that you could eat the stew with only a spoon. It might seem tempting to opt for boneless cuts of chicken instead of bone-in for ease of eating, but whole, bony chicken pieces add much more flavor to the broth. I’ll let you decide which pieces of the bird to use for yours. Heat the oil in a heavy-bottomed pot with a lid or Dutch oven. Once oil is hot, arrange the chicken pieces in the pot and let sit for 10 seconds or so before turning to lightly brown the undersides. Increase heat to encourage a gentle browning or reduce if the chicken is sticking too much. After just 1-2 minutes, the pieces should be whitish and hopefully a little golden-brown on their skins but far from cooked. Remove from pot with tongs and transfer to a dish. 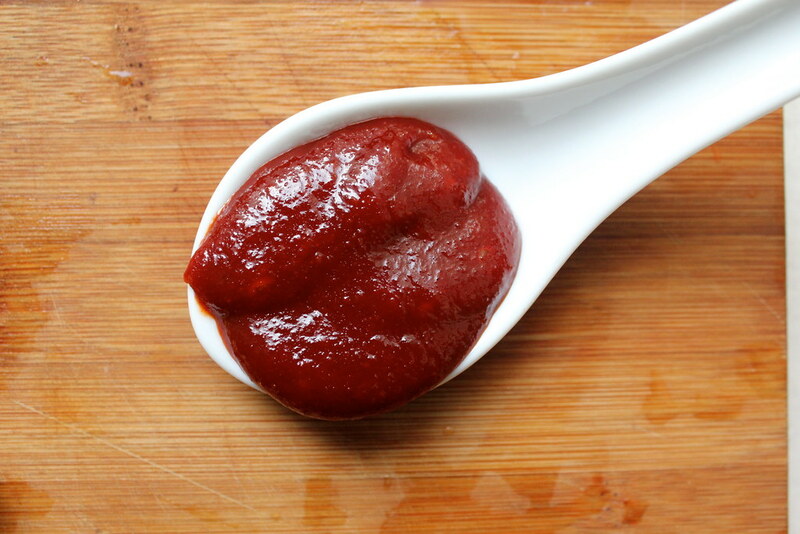 Mix the gochujang chili paste with about 1/4 cup of the water until thoroughly blended and smooth. Heat the same pan over a medium flame and add a small amount of vegetable oil if it appears very dry. Once oil is just hot, add the scallion, chopped pepper, grated garlic and ginger and cook, stirring frequently, 1-2 minutes until very fragrant. Pour the rice wine into the pan and bring to a boil while scraping the bottom of the pan to release any browned bits. Return the chicken pieces to the pan. Pour in the the water-diluted chili paste, the chili powder, and the remaining water. Bring mixture just to a boil, then reduce heat to a simmer. Drop in the potatoes and carrots, followed by a few pinches of salt, and try to ensure that all the chicken and vegetable pieces are mostly submerged in the liquid. 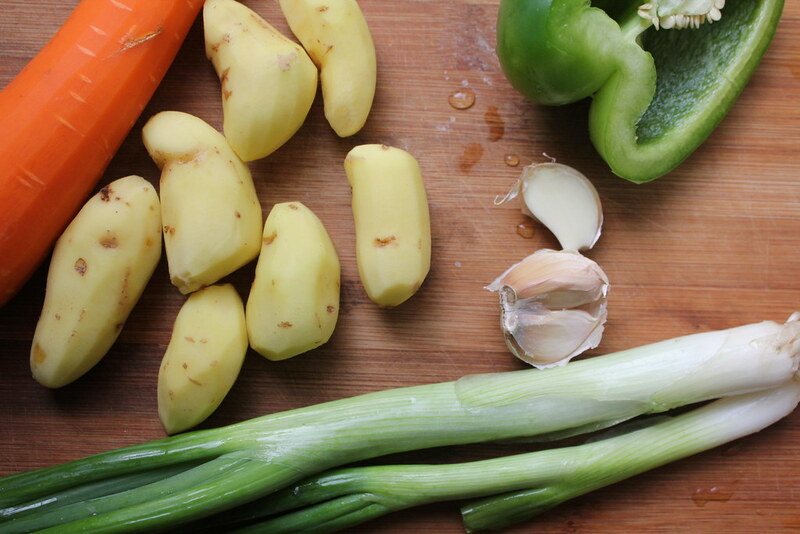 Cover and simmer for 1 1/2 – 2 hours. Add salt to taste. Serve with or without rice. Six brownie points: Surprisingly light, for a hearty winter stew based on meat or poultry. You will notice a little red-stained sheen or oil floating on top of it, but a little bit of rendered chicken fat in a soup never hurt anyone, especially these cold winter days. Because of the presence of potatoes, you could enjoy it as a meal in one, slurping up plenty of the soup to warm up from the inside out. 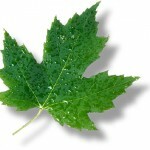 Seven maple leaves: With the exception of imported, crucial Korean spices and condiments, the fresh ingredients for this dish are easy finds at a winter farmers market (except for that bell pepper). You could also swap in chopped leek or yellow onion for the scallions if that’s more readily available where you live. This stew is great for splurging on good, free-range chicken, perhaps from a local farm, as it’ll lend great flavor to the broth. This looks so good. Korean food has become one of my favorite cuisines. This recipe was great. I made it last night with some gochugaru given to me by my Korean colleague. I also made your spinach cheddar cornbread this week. Keep it coming; I love getting ideas from your blog! Awesome work!!! @Geetika @Michelle Gifert Thanks, guys! So glad you love this as much as I did. I love to try this kind of food. I made this tonight, a variation I suppose. I added some rice into the stock and put it in a Dutch oven cooking in the oven. Delicious! Thank you very much, love your blog quite happy I discovered it! tried this before in a korean resto and now im trying to make it. its very cold right now in missouri + love K-food, K-drama (LMH, LDG, LBH) and K-pop = goo day. thanks to you for this recipe. I tried this recipe for a potluck at work, and it was such a huge success! I had to share it for other Affimity users to try – http://affimity.com/#/sharedPost/1/9792. Right now, it’s getting a ton of love from folks interested in trying it out. Thanks for such a delicious post! hi im hazira… I would like to ask if It is possible to cook the dish without rice wine ?? what can be the substitution of the rice wine ?? Just made. I had broken down a whole chicken and put chicken breasts with rib bones in. I only had scallions and potatoes on hand besides garlic and ginger, but it was so good! I want to try and add carrot and pepper next time because I am sure that would have altered the flavor. I was super tempted to add kimchi, but didn’t want to go in that direction of kimchi jjigae. Thanks for your recipe! I just came back to the side to let you know that because of this gorgeous recipe that you shared with us, we know make this about once a month and my entire family loves it. 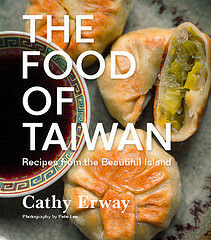 Very heartwarming, wholly delicious. Many thanks. Gonna try this recipe! I know about Korean cuisine via movies, so curious about the taste. Thank you for sharing the recipe! Thank you so much for the sharing this game because here so more things available.